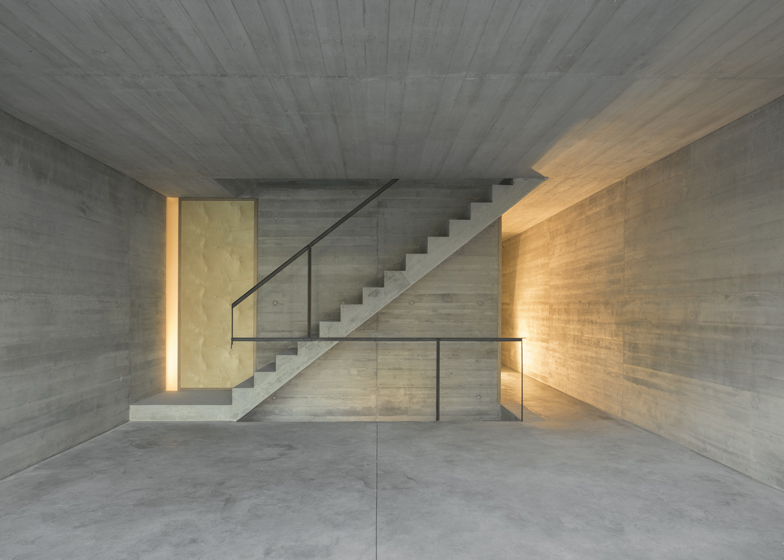 A raw concrete interior is contained behind the white limestone facade of this townhouse in Lisbon by ARX Portugal (+ slideshow). 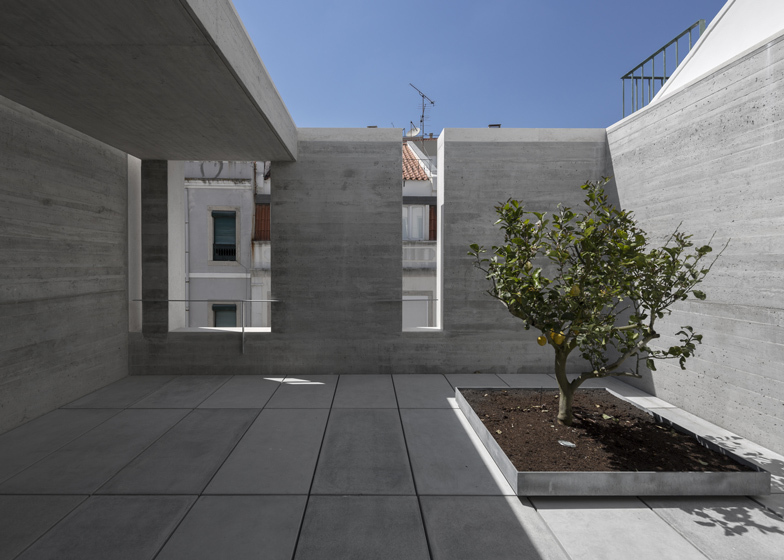 Slotted in amongst a row of traditional Lisbon townhouses, the five-storey residence was designed by local studio ARX Portugal with the same tall and narrow proportions as its neighbours. The facade of the building is an arrangement of white limestone blocks, broken up by a grid of protruding piers and narrow windows. "Just as most of Lisbon's old buildings, it is a flat elevation whose expressiveness comes from its rhythmic nature and the light-and-shade effects produced with the backing-up of its surfaces," said the architects. Contrastingly, the rear facade is made up entirely of windows, fronted by steel balconies that overlook a secluded garden. 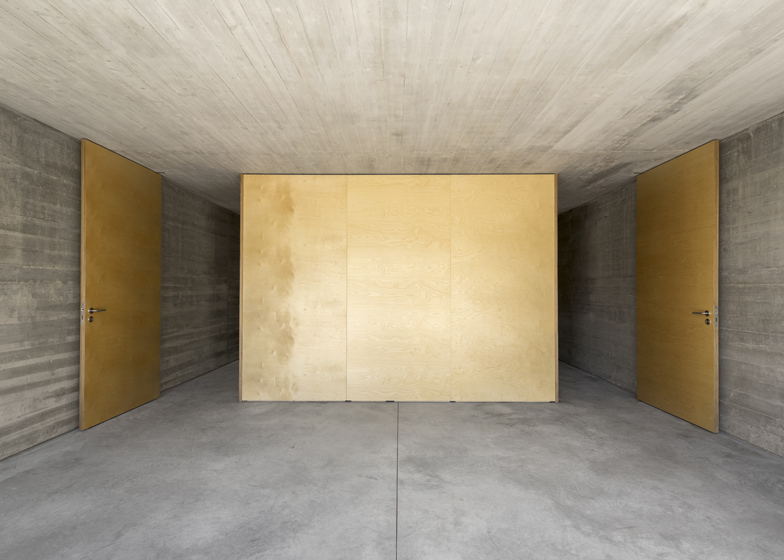 Walls, ceilings and staircases inside the house are bare concrete. 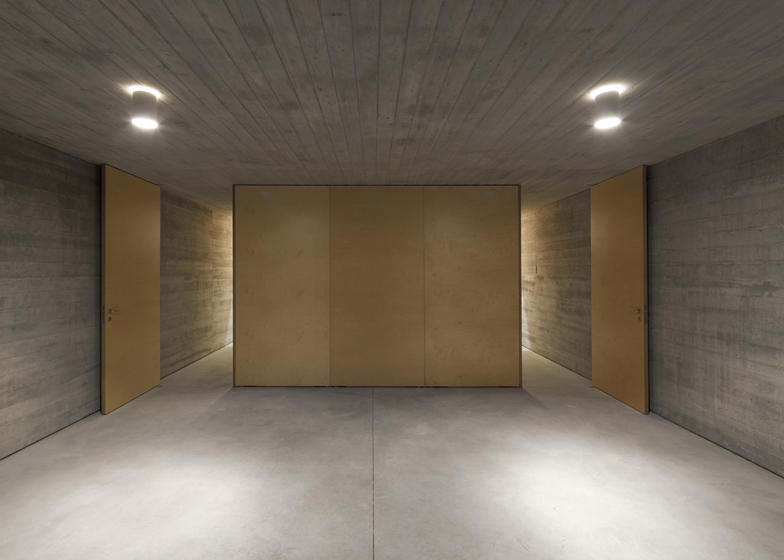 "The precision of the design as well as the inclusion of two doors in most rooms endows the five small floors with a sense of a generous space and gives its dwellers a strong feeling of fluidity and freedom," added the architects. The main street-level entrance to the house leads onto the storey above the garden, which primarily encompasses a garage and living room. The dining room and kitchen are located on the floor below and open out to the paved terrace and lawn. The first and second floors accommodate bedrooms and bathrooms, while an office occupies the uppermost floor. There's also a small roof patio, featuring a small bench and a solitary tree. 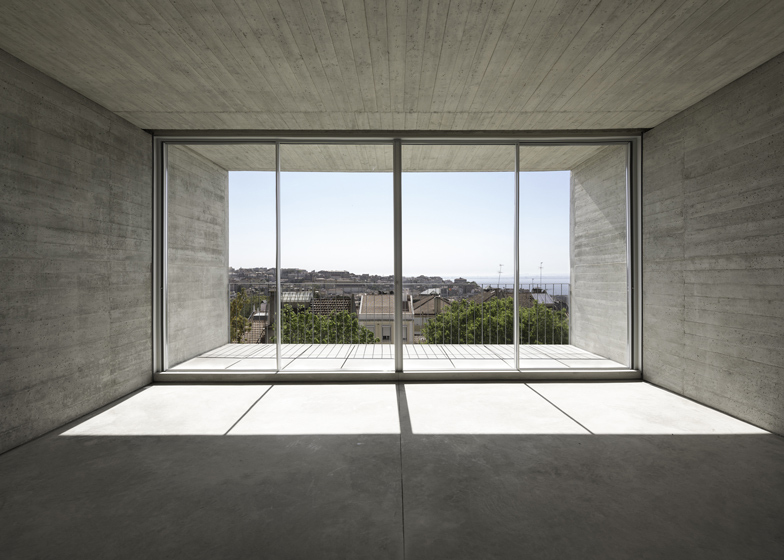 ARX Portugal has used bare concrete in the construction of several residences in Portugal. Others include a top-heavy house with a glazed lower storey and a house with gaping chasms that drop down to basement courtyards. Structures: SAFRE, Projectos e Estudos de Engenharia Lda.